We have practiced recycling for a long time, even before it was the cool thing to do. That is one of the reasons we use travel mugs. We spotted a unique eco friendly travel mug at one of the local stores we go to and thought it would be neat to try one out. We received two porcelain mugs from Décor Craft Inc. (www.dcigift.com) to use and review. 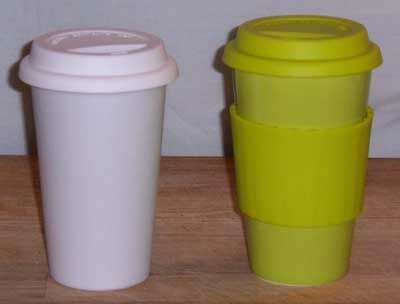 The white mug is called “I am not a paper cup…” and the green one is a color eco cup. Both of them have silicon lids that go with them. We used both of them several times to get an idea of how they were before reviewing them. The “I am not a paper cup…” holds 10 ounces of liquid. 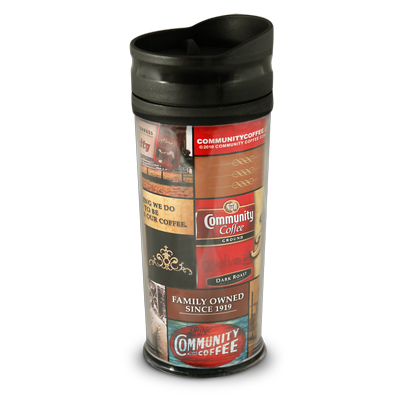 It is a double walled insulated cup so it does keep your coffee hot and is not too hot to hold. It does get a little hot at the top but is comfortable. Kim thought the lid had a rubbery taste and smell even after a few cleanings. There are directions on the package on how to take away the smell and she followed them, but they didn’t help much. She soaked it in a 10% bleach/water solution and that seemed to help. I didn’t think there was much of rubbery smell or taste. The lid fits well and there was no problem with leaks when we used it. The green eco cup is pretty cool looking and it holds 16 ounces of liquid. 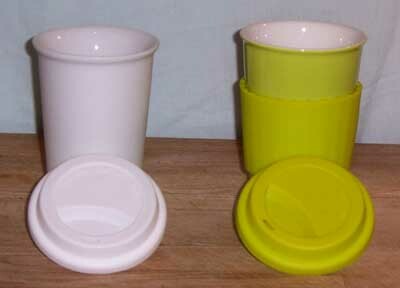 It is single walled and comes with a silicone sleeve that is to be used with it. This cup gets very hot when you put hot coffee into it. It also comes with warnings that it is not to be used without the silicone sleeve and is not for use by children under 8 years old. You really have to be careful when using this cup and I’m not sure I would let anyone younger than a teen use it. That being said if you use the silicone sleeve it is safe and it does hold the coffee’s heat well. The lid fits well and we had no problem with leaks. Kim thought the lid smelled and tasted rubbery, but she cleaned it the same way as the other lid and that took care of the problem. I didn’t have a problem with the lid’s smell or taste. These cups are attention getters. We took them with us to one of our favorite coffee shops and they generated conversation among the employees and some customers. They look good and people notice them. 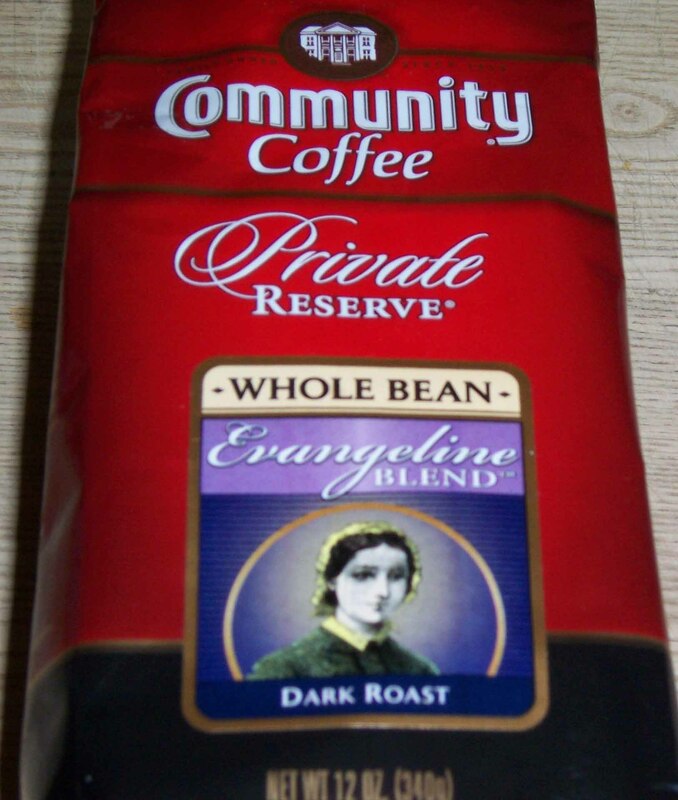 They keep coffee hot and don’t leak. They are also eco friendly and we haven’t had a problem with getting them filled in coffee shops. If you want something that is pretty cool looking and will help the environment at the same time these cups are for you. We use both of these cups on a regular basis now. Using these cups when we visit our favorite coffee shops helps us do our part in cutting down the use of both paper cups and sleeves. We received these cups for free and offer objective feedback. Until next time remember to stop and enjoy the coffee and conversation…and this time help the environment a little too.